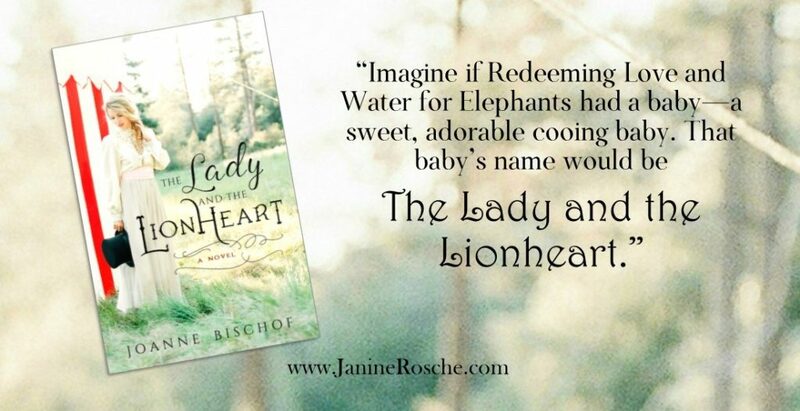 Subscribe to my quarterly newsletter below to be entered to win a copy of Joanne Bischof’s The Lady and the Lionheart! I once sat in the front row of a traveling circus. It was magical. The tightrope motorcyclist seemed to balance above my head, eliciting squeals of delight from my children. The breeze from the swinging trapeze artists cooled my skin in the mid-July heat. The clowns teased us with their humor. Then the tigers came out. We were in awe, until the big cats began marking their territory. I shielded my children behind a blanket to avoid being, um, sprayed, and in the most disgusting way. We survived, and cheered for the final act—the elephants. That is, until the elephant’s backside was five feet directly above our heads. Suddenly, having front row seats to the circus felt more like a nightmare than a dream! Needless to say, I was a bit hesitant to get another inside look at the circus, but many of my friends insisted that I read Joanne Bischof’s The Lady and the Lionheart, so I dove in. I’m so glad I did! Imagine if Redeeming Love and Water for Elephants had a baby—a sweet, adorable cooing baby. That baby’s name would be The Lady and the Lionheart. 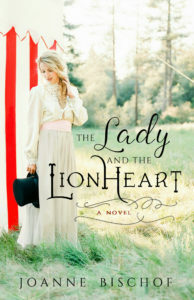 Set in 1890s Virginia, this story begins with Charlie, a handsome liontamer from the circus, bringing his critically ill infant to a hospital for help. A nurse, Ella, hiding from the shame and brokenness in her past, stops at nothing to help this baby girl. Thus, begins the most delightful of love stories, woven around the sights of the Victorian-era traveling circus, both wondrous and horrendous. Full of sacrificial acts and unconditional love, this novel will leave your heart two sizes larger than when you started. Don’t just take my word for it, though. This novel just won the Christy Award for Historical Fiction, due to its brilliance. I give this a 5, without question. When I finished, I felt like skipping around my yard while flower petals rained down from heaven. 4– Faith is expertly tied in to the main themes and actions of the characters without being overtly written on every page. Hymns are also perfectly placed in key plot moments to highlight Charlie’s faith. I’ll never hear Rock of Ages again without remembering this story. 2– The love story in this book is pure and clean, so I wouldn’t say that I blushed too much. That rooftop scene though! I swooned all three times I read that part ? 3—Flashbacks to the past and Charlie’s present circumstances may have a triggering effect. However, it is obvious that Ms. Bischof cares for her readers, as the scenes are thoughtfully composed and lead to marvelous restoration. 3—See above. Those scenes drew tears, but so did the ending, in a completely different way! 1—This story wasn’t meant to be especially funny, yet I still found amusement in some of the scenes, especially when the circus folk mingled. 1—Only once did I yell “Stop it! !” out loud, but it wasn’t to a main character, fortunately. 3—This story had a lovely pace with just enough suspense, wonder, and bewilderment to keep you turning pages. I found myself urging my eyes to read even fast as I neared the end! Overall, I’m glad I overcame my fear of the circus long enough to read this book! It was far more pleasant than my last circus experience and the liontamer was far more charming! I rate this story a 5 out of 5 and have been recommending it to everyone I meet. It’s a home run in the Inspirational Historical Fiction game!